Uncategories A bell is not belled till you ring it in your own style…!! There is no map to human behaviour. Conditions impact the behaviour of people but smoking is not a part of human behaviour, they are habit and habits die hard is a famous saying. Behaviour arises from the level of one’s consciousness. Like different faces, each one of us has dissimilar nature of speaking, talking, walking, wearing of clothes, hairstyle, body language, gestures and so on and all these become a part of your recognition and part of the judgment of your behaviour by others. Hardly there is anyone who may not remember the ringing of the bell in the school especially at the time of leaving. The opening of a door on calling by someone by ringing the call bell has a special significance. A door in a dream is symbolic for an opening, an opportunity as in a door of opportunities. For someone to be knocking on the door is a calling for you to open this door of opportunities. In case you happen to hear knocking in your dream, it represents the attempt of your subconscious to bring a certain aspect of your life to greater consciousness. This may also mean the coming of a new opportunity. For the last few days, I have seen that we hear a call bell daily in the evening and opening the door, we all the time found a group of small children, whose hand could reach the button. They just give a smile and ask for candies. It has become a routine matter as when it rang for the first time, we were happy to see the kids in the street especially when ours have grown up and well settled but now it has become their habit. But now understand the style of their pressing the button and then laughing voices. This incident has definitely reminded when I was of their age but there no push buttons of call bell but we a group of kids in the street used to tease the uncles and aunties in the colony and run away immediate after knocking the door. No candies were distributed. With the passage of time, I see, the things and behaviour have changed. I recollect another incident, while one of my colleague riding a cycle hit the milkman who fell down. He forgets to ring the bell but he did not forget to say ‘Hun Khush O’ – which he used to say after the finish of each talk. The importance of ringing bell was more interesting when I see in the restaurant at the cash counter a brass bell was hanging with a word – If you are satisfied with the services, don’t forget to ring the bell to encourage our staff. Frankly speaking, the act of bell ringing is symbolic of all proselytizing religions. It implies the pointless interference with the quiet of other people. It is really your behaviour to which you are conditioned because of your living style – determines your personality. 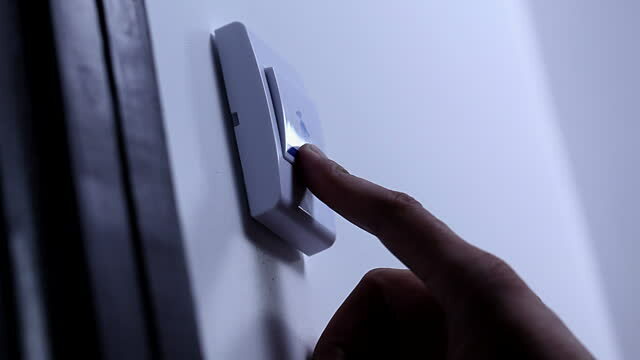 Normally the call bell at the door is pressed once by everyone but whenever I visit the house of my friends or relatives, I press the button of bell twice at a time and because of my particular type of ringing the doorbell, double at a time, my visit is recognized while sitting inside the house by everyone. Anyhow, a bell is not belled till you ring it in your own style.